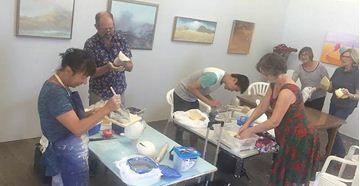 Fun, creative and hands on, this seven class pottery and sculpting class is an essential experience for all artistic types, regardless of their experience or skill level. Taking place in a large, natural light studio, all the tools and equipment you need will be provided. Leased out by professional artists, you know you're in an extremely creative space, designed specifically for classes and artistic expression. Jump behind the wheel a V8 race prepared Sedan or Ute as you DRIVE for 7 laps round Barbagallo Raceway in Perth and then jump in the passenger seat for 3 seriously fast hot laps with our professional race car drivers. Your experience is recorded on USB so you can relive the excitement again and again at home. 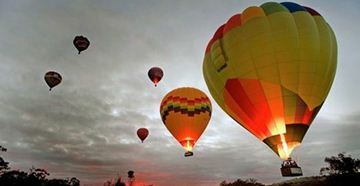 Witness the first sunlight across the picturesque Avon Valley with this fantastic Balloon experience. Afterwards, celebrate in style with champagne and cooked breakfast. Experience the peace and tranquility of lighter than air flying in the experienced hands of the team at Windward Balloon Adventures, Western Australia’s oldest operator. 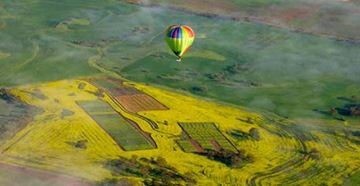 Windward conducts sunrise champagne balloon flights over the picturesque Avon Valley. 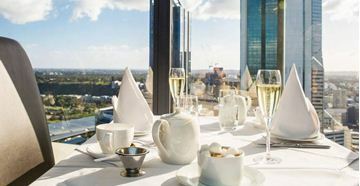 Relax in the afternoon at C Restaurant and enjoy a luxurious High Tea with bottomless glasses of sparkling wine while enjoying the 360 degree revolving view of Perth. Enjoy the delicious delicacies of this luxurious high tea in the prestigious restaurant . C Restaurant's circular revolving floor allows for continuous and breathtaking views of Perth City, the Swan River, Kings Park, Rottnest Island and the Darling Ranges, which are all visible from this amazing location 35 levels above the city. The perfect way to enjoy lunch on the Swan! Enjoy wonderful views as you cruise the calm waters between Perth and Fremantle. 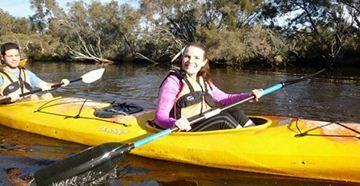 Your Captain will point out the significant sights, including Perth’s impressive Bell Tower, Kings Park, the restored Swan Brewery, Royal Perth Yacht Club and the magnificent homes overlooking the river and Fremantle’s busy inner harbour. Enjoy the delicious delicacies of this luxurious champagne high tea in the prestigious C Restaurant. 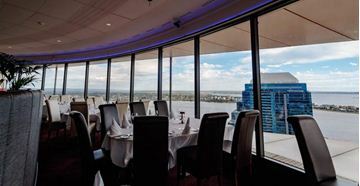 C Restaurant's circular revolving floor allows for continuous and breathtaking views of Perth City, the Swan River, Kings Park, Rottnest Island and the Darling Ranges, which are all visible from this amazing location, on the 33rd Level in St. Georges Terrace. The unique design of the venue ensures all guests enjoy spectacular views of the city. A pampering package doesn’t get any more lavish than this! Steal away a few hours for yourself to indulge in this seriously luxurious pampering treatment in Perth. Ideal for birthdays, Christmas or just as a special treat to pamper yourself, this spa package is a gorgeous gift idea for an unforgettable afternoon full of relaxation and indulgence. 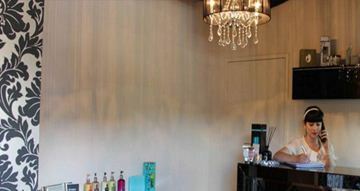 Luxe on Kensington is one of Perth’s most luxurious day spas providing guests with boutique accommodation and a range of spa options to cure any ache.